Duke of York Square, Kings Road, SW3. for a 10 year lease. The unit provides approximately 1,650 sq ft of retail accommodation split over the ground and basement floors. 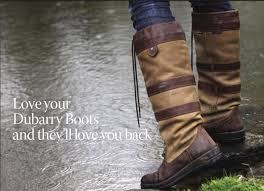 Since being established in 1937, Dubarry have become renowned for the craftsmanship, quality and style of their footwear designs. They currently have one trading store in Dublin and Cadogan are delighted they have chosen the Duke of York for their only store in the UK. This letting to Dubarry follows the recent announcement of a new food offering from Comptoir Libanais and shortly prior to that the opening of a new COS within the scheme. includes Trilogy, Joseph, Massimo Dutti, Banana Republic and Zara.